Why hit a long drive on any course when you can hit a long drive in the golf paradise of the Riviera Maya? Known for its championship golf courses, the Riviera Maya is rapidly becoming a world-class golf destination in Mexico, drawing golf amateurs, golf professionals, and golf course designers alike, such as Jack Nicklaus (El Manglar Golf Course), Robert Von Hagge (Playacar Spa & Golf Club), Greg Norman (El Camaleon Golf Club), Nick Price (Grand Coral Spa & Golf), and Robert Trent Jones Jr. (Riviera Maya Golf Club), to name a few. Over 180 golf courses have been built in Mexico, many of which are signature design courses, with approximately 15 in the Cancun-Riviera Maya region. In fact, the Riviera Maya hosts Mexico’s only PGA Tour and one of the finest: the Mayakoba Golf Classic. First hosted in 2007 and for three consecutive years, the next Mayakoba Golf Classic will be hosted on February 23 – 27, 2011, at El Camaleon Golf Club. Many championship golf courses have been developed at various playing levels in the Riviera Maya and nearby Cancun, while new ones continue to be developed. 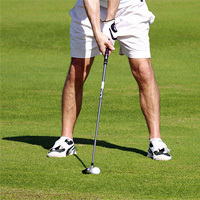 The Association of Golf Courses in the Mexican Caribbean (Asociación de Campos de Golf del Caribe Mexicano, A.C.) has joined with golf course organizations to develop additional Riviera Maya golf courses and promote the region as the best golf destination in Mexico and one of the best in the world. The region’s natural terrain and nature conservation have contributed to golf course construction challenges, such as landscaping design and environmental compliance, but ultimately resulting in unprecedented golf course artistry, beauty, and competitiveness. Riviera Maya golf courses feature natural bends and hills, rainforests, mangroves, wetlands, lagoons, cenotes (cavernous sinkholes), sand dunes, exotic birds, wildlife, the Caribbean Sea, and even ancient Mayan ruins. For the last 10 years, the Riviera Maya has become one of the fastest growing travel destinations in Mexico for its many natural and cultural attractions. Located on the eastern Yucatan Peninsula coastline of the Caribbean Sea in Mexico’s state of Quintana Roo, the region extends 18 miles (30 kilometers) south of Cancun from Punta Brava across 75 miles (120 kilometers) further south to Punta Allen in the Sian Ka’an Biosphere Reserve, the largest and one of many nature reserves in Mexico, such as Tres Ríos Nature Park. One of the finest examples of the region’s undeveloped natural terrain is on the grounds of Hacienda Tres Rios Resort, Spa & Nature Park. Discover the natural elements that golf designers must integrate into course design while developing some of the most competitive courses in the world. Located on nature’s finest golf greens and fairways, Riviera Maya golf courses include tropical plants, sunshine and warmth, natural curves and hills, sand traps and water hazards…making it a golfer’s paradise.